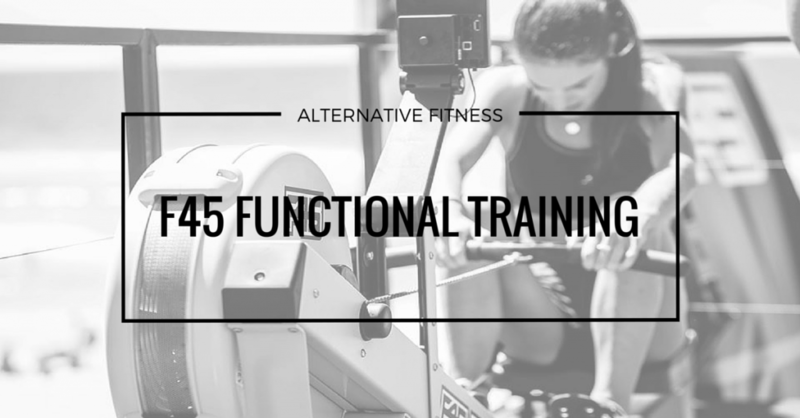 Somewhere between HIIT and Crossfit lies F45, a 45-minute-long functional training programme that has recently hit our shores early this year. The F45 fitness franchise was first developed in Australia, and has since taken the rest of the world by storm with its fast-paced full-body workout. If you ask me, I’d describe it as HIIT with a little more equipment than you bargained for – expect to get up close at personal with TRX straps, free weights, bosu balls, kettlebells, spin bikes, pull-up bars, rowing machines, prowlers, sledge hammers and sandbags. You could also say that it’s a less intimidating version of Crossfit. The focal point is not to attain a personal record in an overhead squat but to complete as many reps as possible in each station. Each day is dedicated to a different workout so if you’re a regular, you can be sure that you’ll be working a different muscle every day of the week. The workouts are themed and playfully named – Brooklyn (MMA- and boxing-based), Romans (resistance-based), Quarterbacks (agility- and pylometrics-based). Saturday’s Hollywood class ends off the week with a bang; combining resistance and cardio exercises across a whopping 27-stations in a mere 45-minutes. These themed exercises are different each week, and you’ll be pleasantly surprised as soon as you step foot into class. At each station, each set of workout ranges from 35- to 55-seconds, with a 10- to 20-seconds rest between sets or stations. The timings and workout videos will be flashed on a screen at the front of the room for instructional purposes. The trainer, Cat, walks around the room to correct our forms while spurring us on. My first class was Quarterbacks. There were three pods and three stations in each pod – that’s nine different stations altogether. Sounds like a manageable handful? Think again. Each station within each pod has to be completed twice (35-seconds workout, 10-seconds rest), and once all nine stations have been completed as a team, we had to repeat everything for one last round. The workouts for that day included chest press, pull ups, push ups, weighed lunges, kettlebell lifts and prowler pushes – just to name a few. I started to grow pale as soon as I hit my second round. I felt like I was on the verge of throwing up my non-existent breakfast (maybe I should have had a bite before leaving the house). But I soldiered on. I tried to shift my focus to the specially curated, upbeat F45 playlist in an attempt to drown out the agony I was in. Before I knew it, the 45mins was over. Even though I found myself hobbling up the stairs as soon as my muscle soreness kicked in, it was totally worth it because I knew that I had emerged stronger. F45 trainings have proven to be a test of endurance, cardio capacity and strength all at once, so expect to feel aches in parts of your body that you’ve never known could ache. If you’re up for the challenge, F45 offers a two-week trial for you to have a taste of painful pleasure before you commit yourself to become a regular. Tip #1: To avoid disappointment, make a booking online or on the F45 app prior to coming to class. Classes can get pretty full – even the 6.15am ones! Tip#2: Hop over to Do.Main Bakery (266 Tanjong Katong Road) after class for kickass pastries. It’s only a stone’s throw away! Also, read 5 Friendly Boutique Gyms To Kickstart Your Keep Fit & Exercise Resolution!